A video from the University of Washington explains how condensation heats up frosty cans more quickly. 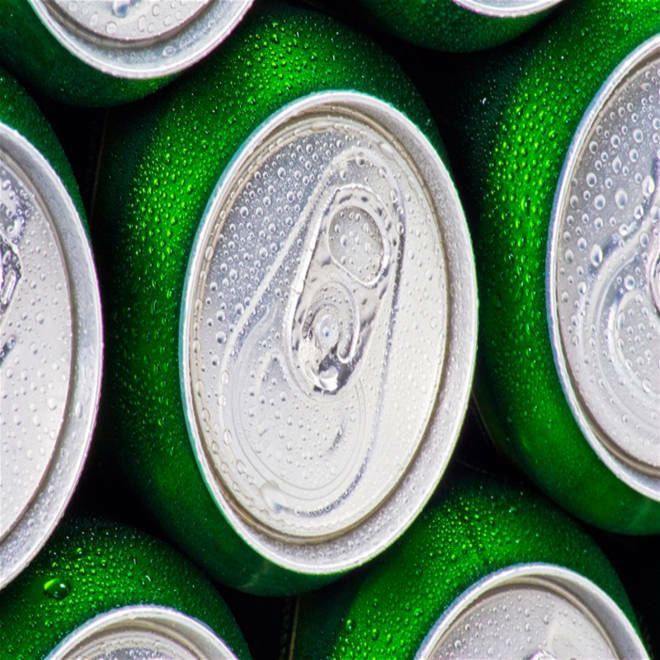 Droplets of condensation may make a cold can of beer look more appealing on a hot day, but they're also making that frosty brew warm up faster. So here's some news you can use: If it's hot and humid, put a cover over your can of cold beverage. And if you want to warm up a frozen can quickly, don't bake it. Steam it. That's exactly what University of Washington researchers did in a series of experiments to show how the warming power of condensation applies to issues ranging from colder beer to hotter climates. The beer-can study, published in the April issue of Physics Today, began a couple of years ago when UW atmospheric scientist Dale Durran was looking for a way to explain how condensation produced heat as the flip side of evaporative cooling. The cooling effect is well-known — we feel it when sweat evaporates to cool us off in the summer time, or when we turn on a mist cooler. But the flip side of the effect is less widely understood. Durran figured out that the condensation on a cold aluminum can might serve as a handy illustration. He did a quick back-of-the-napkin calculation, and found that the heat released by water just 100 microns (four thousandths of an inch) thick should heat its contents by 9 degrees Fahrenheit (5 degrees Celsius). "I was surprised to think that such a tiny film of water would cause that much warming," Durran said in a UW news release. He recruited a fellow atmospheric scientist at UW, Dargan Frierson, to conduct the initial experiment ... in Frierson's basement bathroom. First, they set a can of beverage on the toilet tank and warmed it up with a space heater. Then they took another can, turned on the shower and let the bathroom get nice and steamy. Each time they ran the experiment, the researchers stuck a thermometer through the can's pop-top opening and watched the temperature rise over the course of 15 minutes. Droplets of condensation on a chilly can are a signal that the temperature inside is rising. Frierson said conditions got a little sticky in the steamed-up bathroom. "I think that's the most uncomfortable my research has ever made me — but it's all for science," he told NBC News. Even though the air temperature was the same in both cases, the liquid in the steamed-up can warmed up twice as fast. The researchers followed up on the basement-bathroom findings with more rigorous lab experiments. Every time, the cans warmed up more quickly in more humid conditions. The researchers even charted how quickly 12-ounce aluminum cans of chilled liquid should warm up, depending on different levels of temperature and humidity. For example, in five minutes, the can should get 6 degrees F (3 degrees C) warmer due to condensation amid New Orleans' typical summer conditions. The equivalent warm-up factor would be 3.5 degrees F (2 degrees C) in New York, and 2 degrees F (1 degree C) in Seattle. But in Dhahran, a Saudi city that ranks among the hottest, stickiest places in the world, the can would get about 14 degrees F (8 degrees C) warmer in five minutes. That's why covering a cold can is a such a good idea on a steamy-hot summer day. "Probably the most important thing a beer koozie does is not simply insulate the can, but keep condensation from forming on the outside of it," Durran said. The effects of condensation and evaporation are well-known to climatologists, but Durran and Frierson say the beer-can experiments can give the general public a better understanding of atmospheric dynamics. "Condensation as a heat source is just tremendously important," Frierson said. "It's really like the gasoline that powers hurricanes, thunderstorms and tornadoes." Some climate models suggest that there could be 25 percent more humidity in the atmosphere by the end of the 21st century, and that could lead to more bouts of extreme weather in the decades to come. "We want people to appreciate how powerful this effect is," Durran told NBC News. "A very thin film around the can makes a big difference in the temperature of its contents, and that just makes you appreciate the importance of that same heating effect in our atmosphere." Freeze two cans of your favorite beverage. This should take roughly seven hours, depending on your freezer. Fifteen minutes before taking out the cans, preheat oven to 250 degrees F and start boiling water in a pot. Place a cookie rack on top of pot. Take the cans out of freezer. Place one in the preheated oven. and one over the boiling pot. Start timer for 10 minutes. After 10 minutes, carefully remove cans from oven and pot. Crack open both cans and pour into separate glasses. Take a photo/video of the two cans and glasses, go to the UW YouTube page, and post a video response. Update for 9:30 p.m. ET April 26: Would wiping off the drops of condensation keep your drink cooler? Sorry, says UW spokeswoman Hannah Hickey. "That will only make your drink even warmer," she writes in a Twitter update. "In my class, students definitely need to know how condensation causes heating. Here's how. There are bonds that link water molecules together into a crystal lattice to form ice. It takes heat (energy) to break a few of those bonds and turn ice to liquid water. To evaporate the liquid water, the rest of the bonds between molecules need to be broken, which takes a lot more heat. Once all the bonds are broken, the liquid is converted to water vapor, an invisible gas. "This processes reverses when water vapor is cooled enough to condense as liquid water. Bonds between molecules re-form, and the heat it took to originally break them is released into the surroundings. "The reason we make a big deal about the power of condensational heating is that it does amazing things in the atmosphere, such as powering the updrafts in thunderstorms. The rising cloud-filled updrafts in the video linked below ascend like hot-air balloons because they are warmed, not by burning a fuel like propane, but by the heat released as water vapor condenses. "Such a visualization might help people understand some of the applications. (Only the last half of the Physics Today article was about the beer can heating.)" Durran and Frierson are the authors of "Condensation, Atmospheric Motion, and Cold Beer" in Physics Today. Supplemental experiments are described in "An Experiment Uses Cold Beverages to Demonstrate the Warming Power of Latent Heat." Lab experiments were performed by Stella Choi and Steven Brey. Galen Richards and Jaycyl Golding, high school students serving as Pacific Science Center Discovery Corps interns, worked on earlier versions of the experiments. Instrument makers Allen Hart and Steven Domonkos built experimental apparatuses. Funding was provided by National Science Foundation grants AGS-0846641 and AGS-1138977.